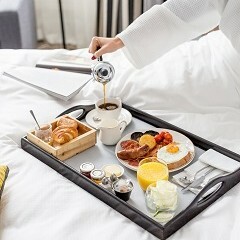 Treat yourself to a 4 or 5-star luxury hotel stay with Radisson Blu Edwardian, London and enjoy a delicious breakfast the next morning. 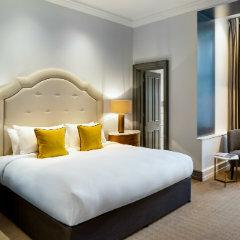 A luxury hotel brand born in London and inspired by London, all our properties boast a distinctive personality and individual sense of style from bijou to boutique to large scale luxe in the capital city and Manchester. 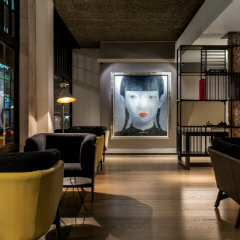 A surprising fusion of English eccentric and European cool, think contemporary design that doesn't compromise on comfort with complimentary Wi-Fi throughout and buzzing bars and restaurants with service that anticipates but never assumes. Our breakfast has only the best ingredients, including a hot section, cereal station with several different cereals, cold meats, smoked salmon, pastries, fresh breads and fruit juices. Order your morning pot of tea or coffee from your waiter. Book securely online using the drop-down menu on the right or call our reservations team on +44 (0) 20 7666 2662 quoting "bed & breakfast".